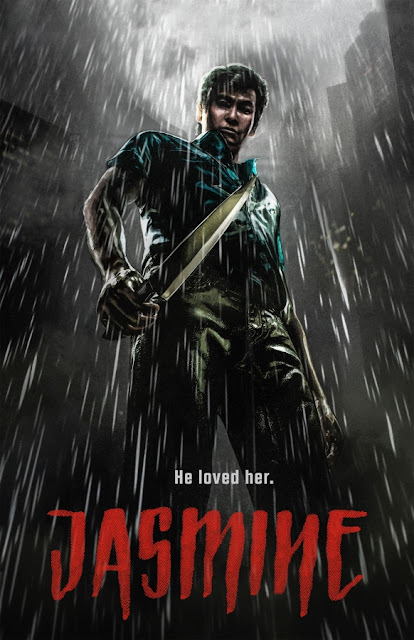 Read on for the details + trailer for revenge thriller Jasmine. Indican Pictures is set to release director Dax Phelan’s Jasmine this summer. The film will open in Laemmle Theatres, commencing with a showing in Los Angeles, mid-June. Jasmine is a film about conspiracy and revenge as one man is on the hunt for his wife’s deranged killer. The film stars: Jason Tobin (The Fast and the Furious: Tokyo Drift) as central character Leonard, along with Byron Mann (The Big Short), Eugenia Yuan (Memoirs of a Geisha), Sarah Lian and Glen Chin. The story has been described as a mind-bending psychological thriller. In this tale, Leonard is struggling to come to terms with his wife’s brutal death. He reconnects with a person from his past, but, his overwhelming grief continues to bring him back to his wife’s gravesite. In a chance encounter, he believes that he has found her killer and will not stop, until he has brought his own version of justice. Following the theatrical release, Indican Pictures will avail the film in July, through Video-on-demand and on DVD. Jasmine continues a successful film festival run, receiving over thirty awards, including stops at: Sydney, Hong Kong, Mexico, Los Angeles, Miami, the Bahamas, Philadelphia, Palm Beach and St. Louis. Upcoming stops include: the Madrid International Film Festival (July 11th) and the Auckland International Film Festival (June 10 & 11). Jasmine will be showing worldwide, throughout the summer and this is one tale of revenge, which should not be missed. The official synopsis: Jasmine is a mind-bending psychological thriller about Leonard (Jason Tobin). Leonard is struggling to come to terms with his grief, nearly a year after his wife's murder. Hoping to move on with his life, Leonard reconnects with Grace (Eugenia Yuan), a woman from his past; his outlook,thanks to her, begins to brighten. Then, a visit to the site of his wife's murder leads him to a mysterious interloper (Byron Mann), who he believes is her killer. Leonard decides to take justice into his own hands as events take a startling turn towards the unexpected.